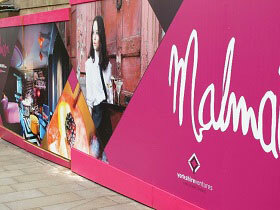 The over 130 square feet of Dibond aluminum composite hoarding features the brand’s upcoming development, a luxury lifestyle hotel, another signature of the hospitality chain Malmaison. 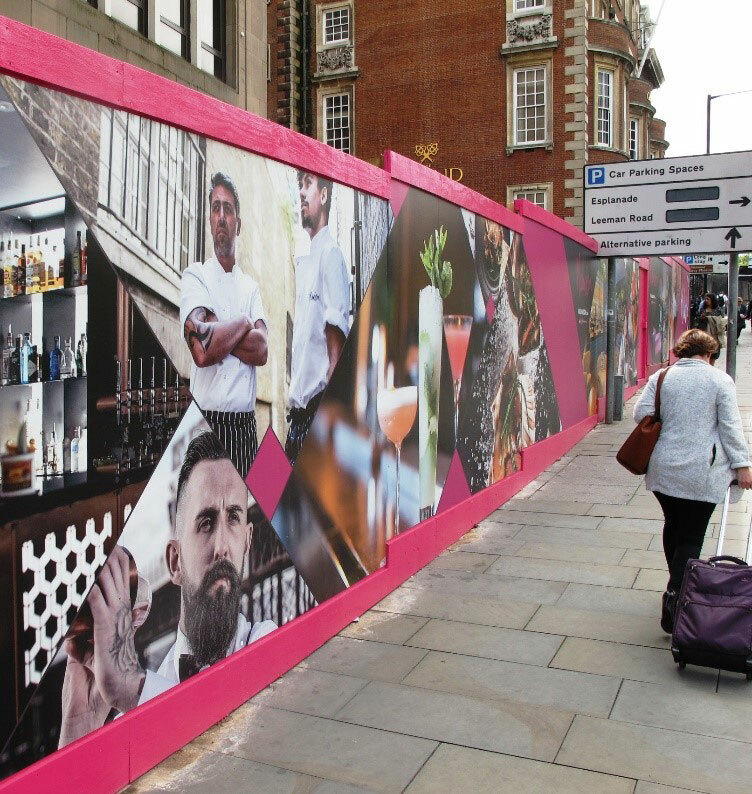 The new boutique hotel will contain an abundance of high-quality bedrooms and serviced suites and is the chain’s 16th hotel in 15 prominent UK cities. 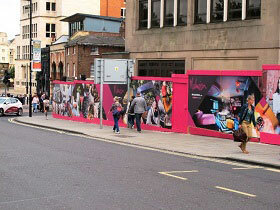 Although hoarding signage is temporary, the materials chosen are important due to the potential for longer than expected site use. Additionally, hoarding panels are often exclusively exterior, requiring a material that is lightweight, waterproof, and wind resistant. Dibond aluminum composite is often specified for its ability to meet the strict parameters needed in this heavy-use application.